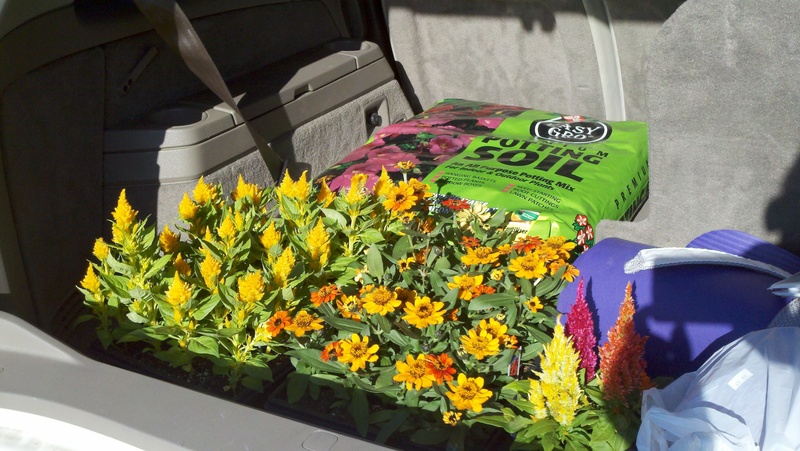 Beatrix has been bugging us about wanting to plant some flowers, so we bought her a planter, and I went with her over to Houston Garden Center. 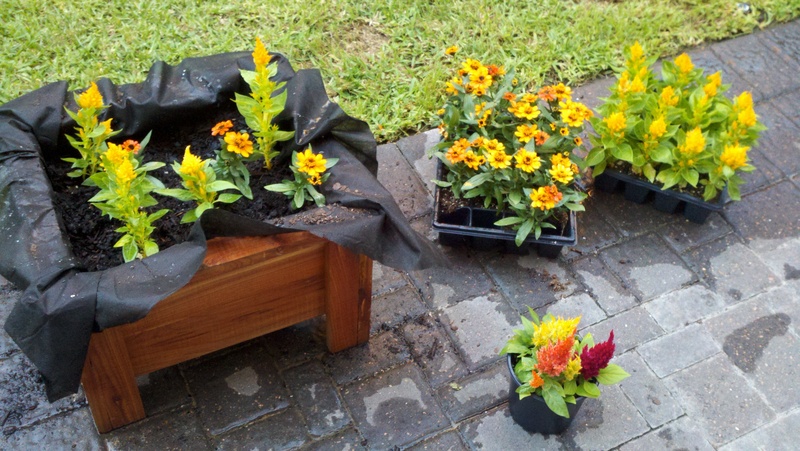 Beatrix picked out some celosia and zinnias. 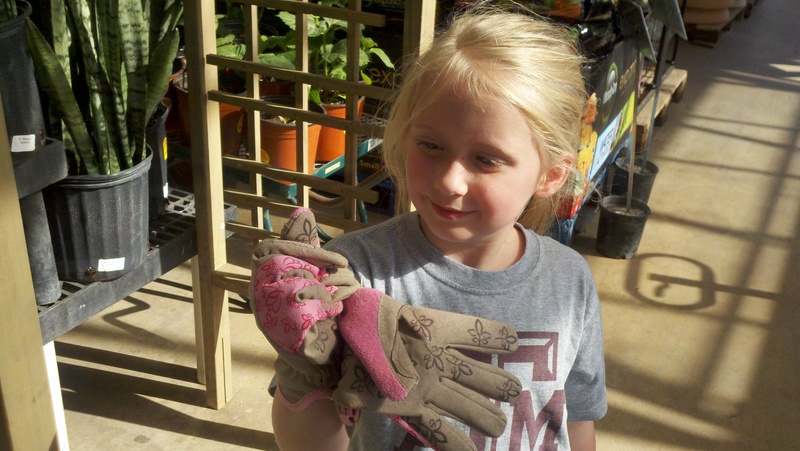 And of course, she needed some gardening gloves. We got way too much, so now I need to buy a couple more planters. I told her that I suspected that was part of her plan, and she just laughed.